Sometimes you just need a super quick, easy and delicious appetizer to hold over the crowd until meal time! 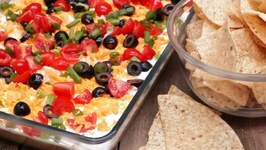 This easy taco dip gets the job done!!! 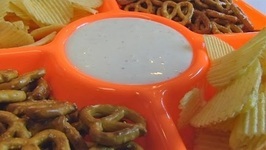 Its just full of ..
Jezebel Dip is an easy dip/sauce you are going to love. It is perfect for parties, and you can given give this as a gift. 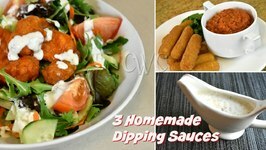 This sauce/dip is sweet, spicy, and savory. 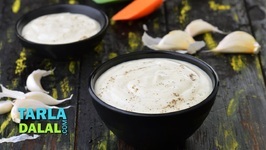 A really creamy and luscious mayonnaise with the distinct flavour of garlic, this one is sure to give a fresh new taste to any salad, sandwich or burger. When you need a dip in a jiffy, look no further! 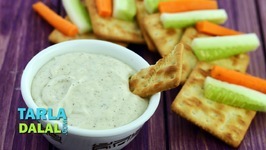 A simple mix-and-serve job, the Cheesy Pepper Dip is a great combo for cream crackers and vegetable strips and is sure to ..
Olives are almost always served in Italy, a custom that comes down from Roman times. Pickled olives have been served as a snack or after a meal along with cheese for ..
Betty demonstrates how to make Seasoned Chives Dip. 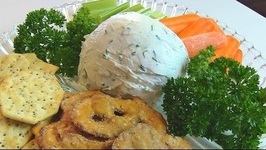 This dip is made of cream cheese and fresh chives and is seasoned with celery salt and garlic salt. 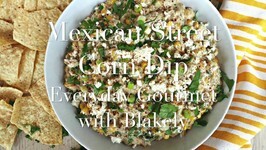 This DELICIOUS appetizer is a take on one of my favorite things ever... Mexican street corn (elote). 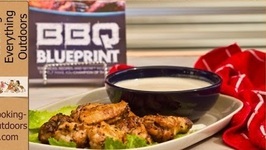 This is the perfect Cinco de Mayo recipe that will be gone muy rapido! 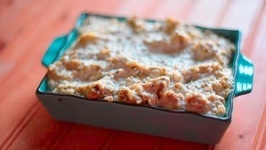 Learn how to make Boudin Dip, it is so easy, and so incredibly delicious to make. Boudin is a rice based sausage that is very popular in Louisiana. What a veggie this red pumpkin is! It seems to steal everybodys heart with its unique texture, pleasant colour and mellow taste. 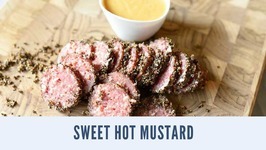 You can make Sweet Hot mustard so easily. It can be expensive to busy, but it is easy to make. Cheese Tempting Treat ! We are Celebrating Gocheeseloversday and getting a whole lot cheesy today . We dived deep into the 3 different flavours and indulged without guilt ! You can make Boudain dip it's super easy to make, and it would be perfect for Mardi Gras. 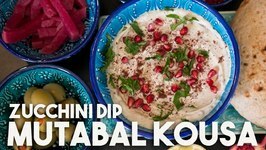 You need just three ingredients to make Boudain dip. 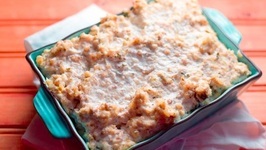 This amazing warm crab, artichoke, and bacon dip beats the cheesecake factory special. Cheesy dip? Tangy Dip? Herbed Dip? Why not everything in one package? 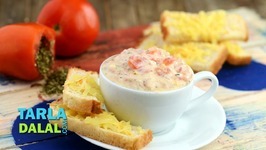 The Herbed Tomato Dip offers just that! A cheesy base with tangy tomato accents and aromatic herbed notes too. Betty demonstrates how to make Three Cheese Dip. 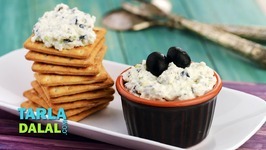 This flavorful dip contains cream cheese, blue cheese, and sharp Cheddar cheese. This dip is a dish in its own right! 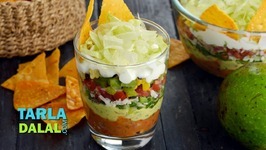 With so many layers featuring myriad textures, flavours and aromas, the 7-Layered Mexican Dip is nothing short of an exhilarating experience. Mutabal Kousa similar in texture to a Baba Ghanouj but it's made with Zucchini, Courgettes or Squash mixwd with garlic, yogurt an lemon juice. 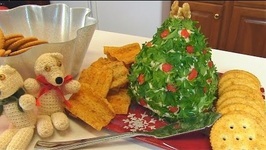 Betty demonstrates how to make Cream Cheese Onion Dip. 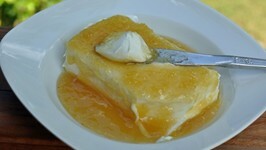 This recipe was sent in by Jennifer Smith. 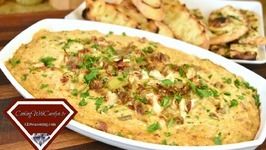 It is a very simple and interesting way to make a flavorful Onion Dip for chips. Dips are the favorite for any season. 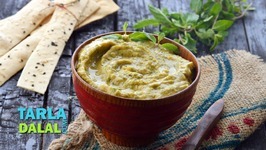 If you are hosting a party and looking for variety of dips, please watch the video. 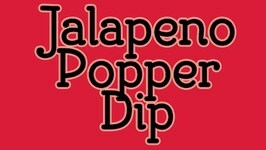 It's easy to make a great tasting jalapeno popper dip. You can put this recipe together in no time and have a delicious dip that will remind you of hot jalapeno poppers. 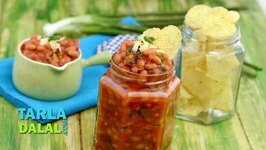 Chips and dips are like a jar and its lid they have to be perfectly matched. The Baked Beans and Spring Onion Dip is a tangy, flavourful dip with sweet and sour baked ..
Betty demonstrates how to make Hot Chipped Beef Dip. This is a flavorful dip made of cream cheese, chipped beef, green pepper, and onion that is served on Melba toast rounds.